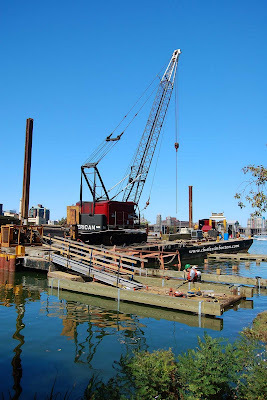 Rebuilding piers on the Charles River. This is near the Hatch Shell on the Charles River Esplanade. The water looks so blue, a wonderful rich color.